Early Bird is extended to April 5! We’re using on online application progress this year. Please read through the Camp Behavior Agreement and the Anti-Bullying Policy, then fill in the form below. Parents: Please take a moment to review the following agreement with your camper. Agreeing to our behavior policy is required for registration and admission to Himmelbjerget. I will arrive and remain at camp with a positive attitude, open to meeting new people and trying new activities. I will work with my counselors and fellow campers towards creating an environment that is safe and welcoming for each of us. I understand that doing intentional harm or bullying another camper, either physically or emotionally is grounds for dismissal from camp. I understand that although I may be able to solve some conflicts on my own, the counselors are always ready to listen and assist if there is a problem. I understand that my counselors and all of the camp staff need and want to help but can only do so if I am willing to share any concerns that I have with them. I will participate in all camp activities and follow the directions of activity leaders and counselors. I will use appropriate language and understand that the use of excessive, deliberate, profane language will not be accepted. I will leave my cell phone and other electronic devices at home. I understand that if there is an emergency the camp staff will be happy to allow me to use the phone and will pass on any urgent messages from home. I will be respectful of the property and personal space of other campers and camp staff. I will not possess smoking materials, lighters, matches, illegal drugs, alcohol or weapons of any kind on Himmelbjerget Camp grounds. Himmelbjerget Danish Camp operates on a three-strike policy. The first infraction of the behavior management will result in a verbal warning between staff and camper(s). The second infraction will result in a time-out/loss of camp activity and a call to the parent. A third infraction will result in a conference between the camper(s), parent(s), Camp Director and Camp Counselor (if applicable and needed). This third infraction can result in the removal from the camp program with no refund. A zero tolerance policy is enforced in regards to Physical Aggression. Any camper who commits an act of physical aggression against another camper, staff member, or anyone else will be removed from camp. As a parent, you will be responsible for picking-up your camper within four hours of the decision to dismiss your child from camp. Depending on the act of aggression, your child may not be allowed to return to camp the following year, or years thereafter. Has the effect of substantially disrupting the orderly operation of the camp. This policy is not intended to prohibit expression of religious, philosophical, or political views, provided that the expression does not substantially disrupt the education environment. Many behaviors that do not rise to the level of harassment, intimidation, or bullying may still be prohibited by other policies, rules, or regulations. False reports or retaliation for harassment, intimidation or bullying also constitutes violations of this policy. The Himmelbjerget Camp Director is authorized to direct the development and implementation of the procedures addressing the elements of this policy, consistent with the complaint. It's nearly time for camp!!!! Please remember, to qualify for the NWDA membership price, the camper or the parent must be a current NWDA member (sorry, grandparent memberships don’t qualify for the membership discount). 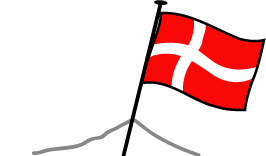 Interested in becoming a member of the NW Danish Association?